Toys just keep getting better and better! Even for the littles! We’re sharing Hot Toys for Tots as found at the North American International Toy Fair 2016! 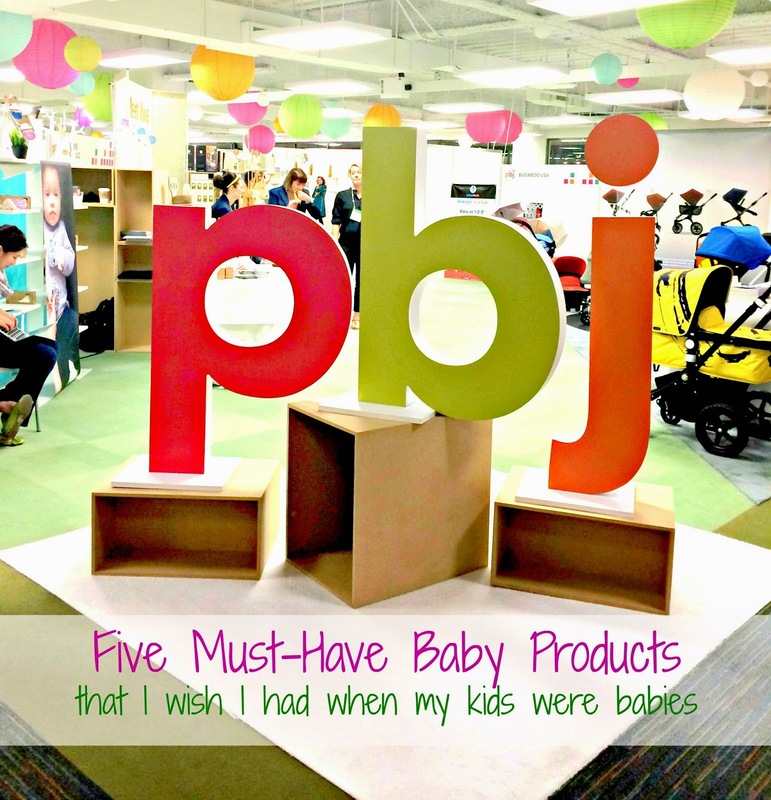 Oh, boy – we’re talking toys! 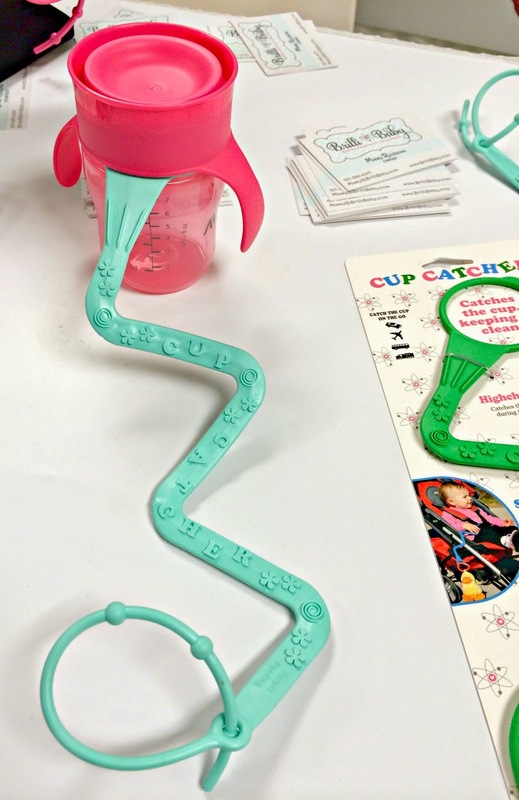 This week I headed over to EyeOpenerTV to share some of the coolest toys you’ll be buying for birthdays, showers, and even Christmas! 4 inch tall “bendy dolls” are made from flexible soft plastic, with metal wires inside which allow for them to be posable. Compatible with all HABA dollhouse furniture as well as the Villa sunshine, dream-house and Dollhouse Annex (shown here). A Toy of the Year Finalist, PlayTape sticks to any flat surface and is easy to tear, reposition, and peel up without any residue. NEW Hot Wheels PlayTape debuted at Toy Fair this year and will be available to consumers this summer! Cheerful music plays along with the activities with mute button – celebrating bath time and reducing water anxiety. Lassig Casual Twin Bag // This one is for MOM and DAD! Perfect bag for parent of twins, multiple children or just looking for a roomier day-today bag option! Variety of zipper pockets and compartments to keep loose items organized and easily accessible. Made of durable polyester and include carrying handles, shoulder strap and stroller hooks for added versatility. There is also an additional shoulder strap that can be used as a back pack strap. And because we love our parents, we’re giving away the LASSIG CASUAL TWIN DIAPER BAG! Affiliate link may be included. If you’ve had a baby, then you know amount the struggles of holding a baby, keeping them happy and trying to do anything else with your hands – especially if you don’t have any help! Going to the grocery store, the mall or just even walking around become the most uncomfortable and complicated experiences of your life, all because of your bountiful baby of about 12 lbs. Thankfully, someone has either shared with you that there is a way to survive without attempting to invent a second set of hands or boy, do I have a solution for you! BABYBJÖRN, the family-owned Swedish company, which pioneered babywearing in the ‘60s just launched their newest baby-must have with their new BABYBJÖRN Baby Carrier We. Similar to the recently launched Baby Carrier One, the We is suitable for use from birth up to 3 years old, with options to carry your baby on your front close to your heart or switch to a back-carry position with one simple movement. 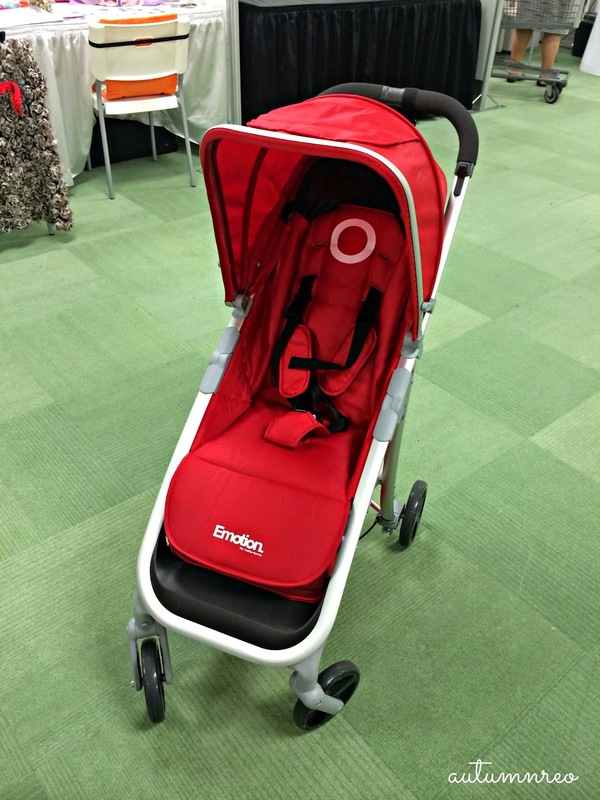 The ergonomic carrier offers maximum comfort for you and baby, supporting the child’s head, back and hips and offering adjustable padded shoulder straps and waist belt. 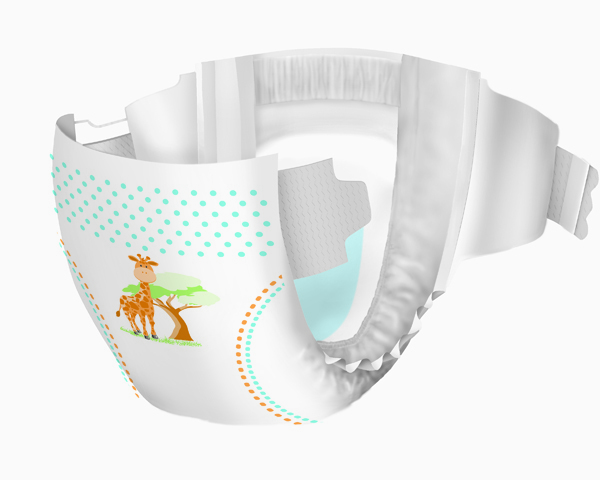 Baby Carrier We was developed based on the results of hundreds of interviews conducted with families in several countries. BABYBJÖRN found that parents want a simple baby carrier that they can use for a long time and another big bonus: an affordable price. BABYBJÖRN’s Baby Carrier We is made of high-quality cotton and polyester. 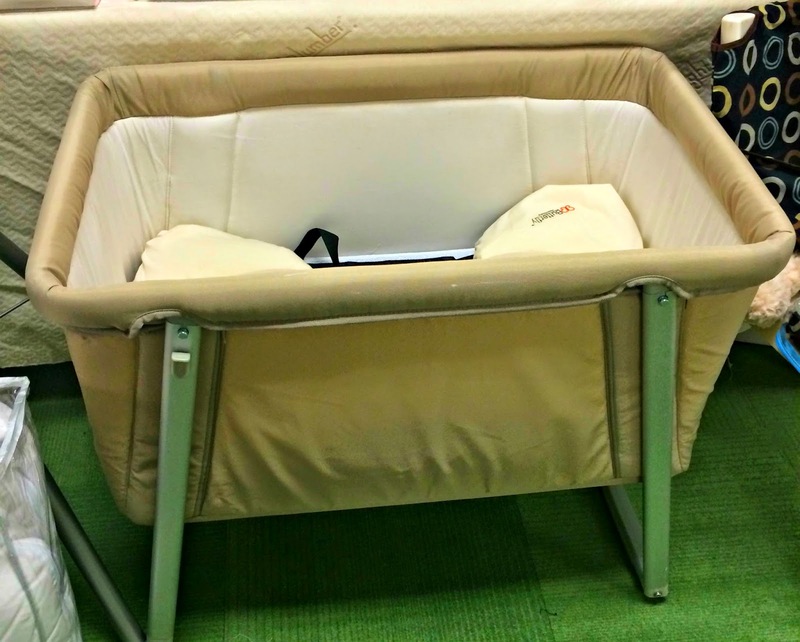 The materials are certified for use in baby products in accordance with Oeko-Tex Standard 100, Class 1, which guarantees that they do not contain any health-hazardous or allergenic substances. The company will also launch Teething Pads for Baby Carrier, which will be compatible with Baby Carrier We and Baby Carrier One. Made from a soft, waterproof fabric with no harmful chemicals, these teething pads are easy to slip on and off and can be machine washed, keeping the carrier cleaner for longer. BABYBJÖRN’s Baby Carrier We can be purchased for a suggested retail price of $139.95. The Teething Pads for Baby Carrier will be available in early Fall for a suggested retail price of $24.95. For more information, please visit www.babybjorn.com, and follow BABYBJÖRN on Facebook and Twitter. 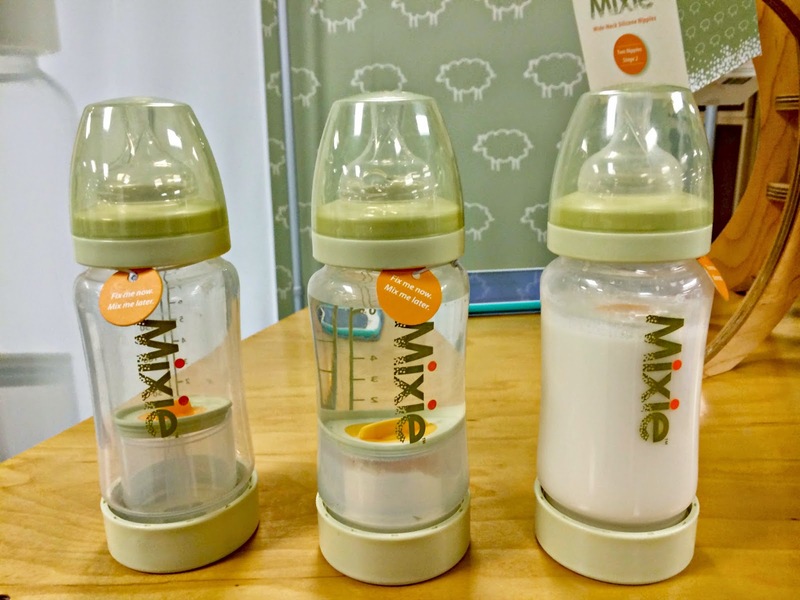 What’s the one baby item you can’t live without? Note: I received my own Lasagna kit from Red Gold and you can too, just keep reading to find out more. When I gave birth the first go-around, I remember a friend who was kind enough to bring me over a lasagna to help with dinner. I can still remember not only how delicious it was, but how it kept me fed for almost a week – especially late at night when my little one decided he needed to get us both up for a few hours. Now it’s my turn to bring a meal to one of my friends who just had a baby. However, it’s not just because lasagna is delicious and as Anelle would say “freezes beautifully,” but that this recips is full of several nutrient-rich foods that are needed for a new mom, especially when she has a little one that she’s feeding, too. 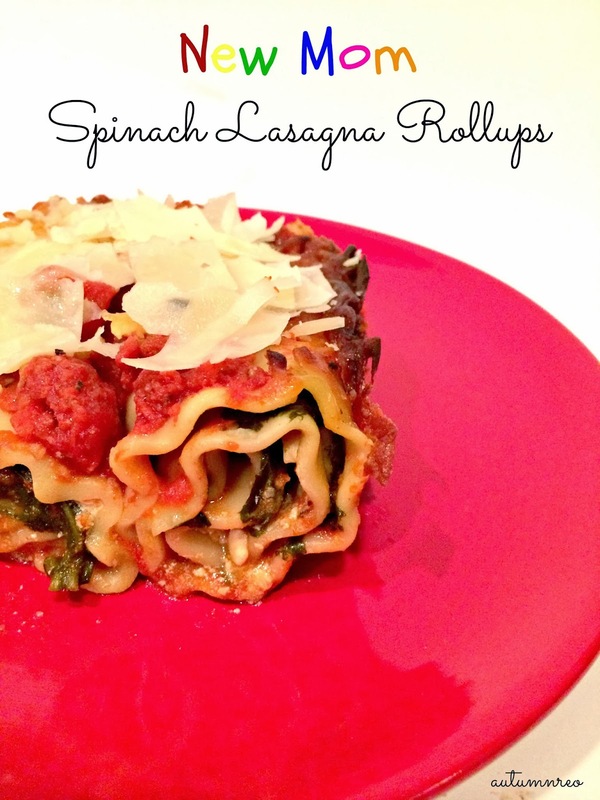 So my Spinach Lasagna Roll-ups are like the super food for new moms – and all in one dish! And did I mention there was less than 20 minutes required to whip these up? Which makes it my go-to meal for taking over to friends along with a bag of salad, and a loaf of garlic bread! Preheat over to 350o F.
In a large bowl combine water, RED GOLD® CRUSHED TOMATOES, RED GOLD® DICED TOMATOES with BASIL, GARLIC & OREGANO and Italian seasoning. Boil the lasagna noodles making sure they don’t stick. Once cooked, lay each noodle on a sheet of wax paper until ready to roll. Cover the bottom of a 9x13x2 inch baking pan with 1½ cups of sauce mixture. Take one noodle and then add a layer of cottage cheese, parmesan cheese and then a handful of spinach leaves. Tightly roll up the noodle into a roll and place seem-side down. Continue until the dish is full. Then add the rest of the sauce. Next layer the top with mozzarrella cheese. Sprinkle the top with Parmesan cheese. The recipe makes 12 servings, but you could divide the recipe into two 9×9 inch baking dishes and freeze one! Red Gold Premium Tomatoes is having a Lasagna Party Sweepstakes on Facebook – until Wednesday, Feb. 5! You can win some great stuff including gift cards, lasagna kit, and other fun prizes! So check out http://www.facebook.com/RedGold. It was one of those days that I woke up thinking, it might be a great day. The house was clean, I had a warm shower all by myself and I actually wasn’t dreading anything in the next eight hours. I could hear a little Mary Chapin Carpenter singing, “I Feel Lucky” in my head. I had spoken too soon. My daughter had done her business. Then she peeled the tabs off her diaper and ripped it off. And then proceeded to use my carpeted staircase as her personal roll of Quilted Northern. I was devasted. Maybe because I had just gotten the carpets cleaned. Maybe because I had just taken a shower and I didn’t want to get dirty. Or maybe it’s because poop all over my almost-white carpet is just gross. While cleaning it all up was my next step, I had to figure out what I was going to do to make sure this wasn’t going to happen again. NEVER. EVER. AGAIN. 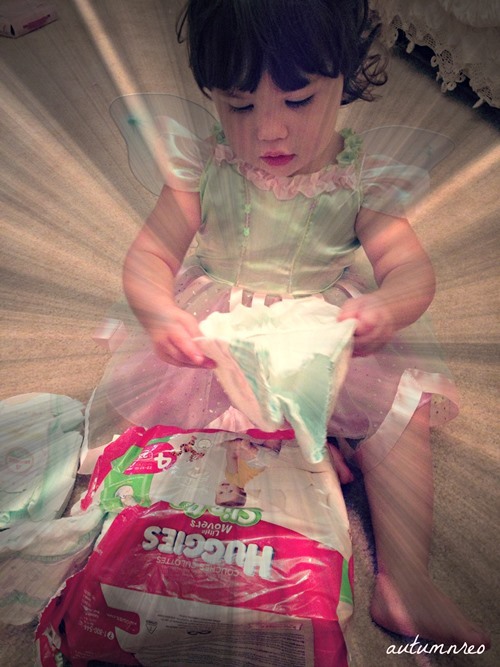 Then like a little Diaper Fairy Godmother, Huggies Slip-On diapers came in to my life. What’s so different about Huggies Slip-Ons? 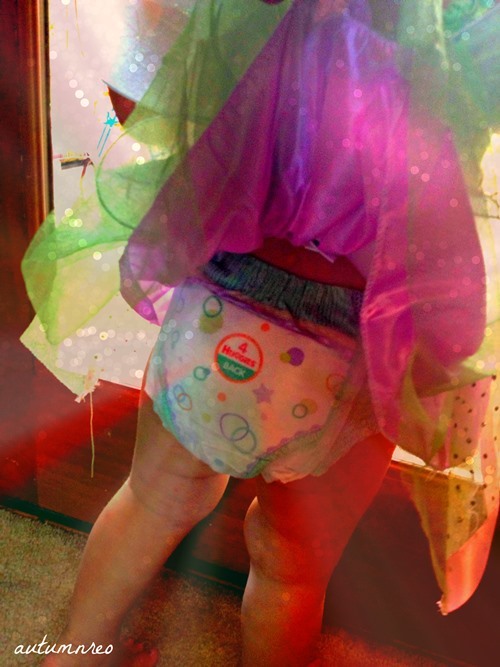 This diaper has a perfectly snug fit for my busy little kiddo with stetchy sides and Stopping Guards to keep her adorable chunky thighs comfortable all while keeping all the other stuff IN her diaper. Best of all, since they are easy on and off whip these on/off easily without fighting to make her stop to change her diaper (which is helpful since she isn’t stopping and runs faster than me.) And we’ll even be able to use them as a transition for potty training – our next messy step in toddlerhood. Lucky me. Then just like that — mama was able to redeem her day…for the most part. 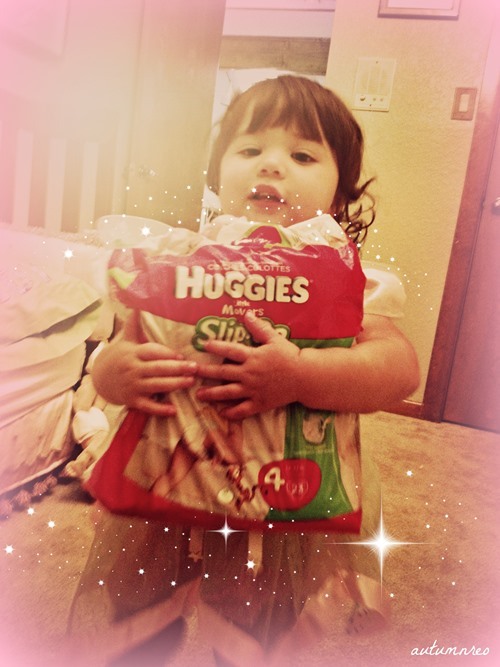 I prevented another snail trail incident from happening all over my carpet all thanks for the Huggies Slip-Ons. Now I just need to work on getting the Mr. Clean Fairy to show up to help me with the carpet. 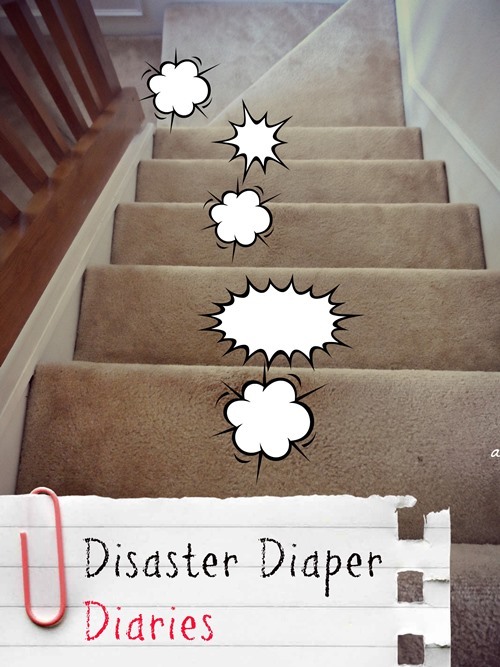 Are you ready to make your diaper diasters turn into diaper dreams? with this special coupon from Target for $2 off! I received product for the purpose of this review. However, all the information and comments are my own. A few months ago my beautiful little girl’s perfectly peach and unmarked skin became red, whelped and dry all over her poor little, chubby legs. Since she didn’t complain and thinking she just had a reaction to being out in a field of bluebonnets (a spring Texas requirement), I let it go for more than a week without doing much than amp up her lotion use. It was only after her school became scared the condition may be contagious and it wasn’t going away, I realized it might be eczema. But just in case, I needed to take her to the pediatrician. Comfirmed by her pediatrician, we decided it was time to take her for a dip in an oatmeal bath and slather on the lotion. Why oatmeal? As a skin protectant active ingredient, oatmeal can help restore skin’s normal pH and aid in the maintenance of skin’s moisture barrier to prevent and protect dry skin. Of course, that meant only one brand would do – Aveeno. 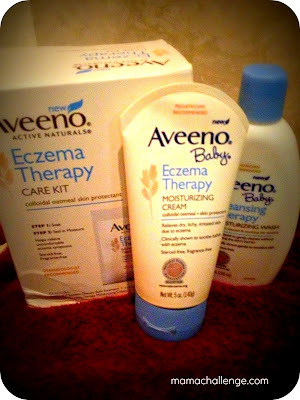 Since both my husband and I had our own issues with eczema, we already were big fans of their products. But for our little girl we wondered if the treatments might be too intense for her tender skin. The Aveeno Baby Eczema Therapy Care Kit is a two-step regimen formulated with colloidal oatmeal to help soothe eczema-prone skin. Eczema Therapy Bath Treatment gently cleanses and relieves irritation due to eczema. The convenient kit helps to improve the four symptoms of eczema—itchiness, dryness, irritation and rough skin. When dispersed in water, the hypoallergenic powder forms a tear-free milky bath that soothes as it naturally cleanses without soap. After bathing, baby’s skin is softer and smoother, and dry, irritated, sensitive skin is relieved. While I loved that there was a kit including the lotion and treatment, I still needed a wash to clean her body when we didn’t have time for a bath. 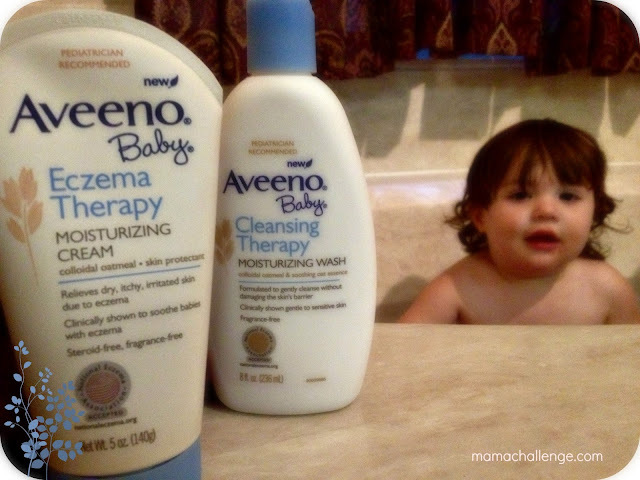 Thankfully there was a solution for that too…the Aveeno Baby Cleansing Theraphy Moisturizing Wash. awarded the National Eczema Association Seal of Acceptance. Best of all everything we needed was purchased at our local grocery store, didn’t need a prescription and didn’t break the bank. And neither will you with this special giveaway from Aveeno! Are you looking for a nighttime ritual to From AVEENO®, the leader in ACTIVE NATURALS® ingredients and recommended by Pediatricians for over 60 years, comes the AVEENO® Baby Bathtime Solutions Gift Set, which includes products to nurture baby’s skin and pamper mom! 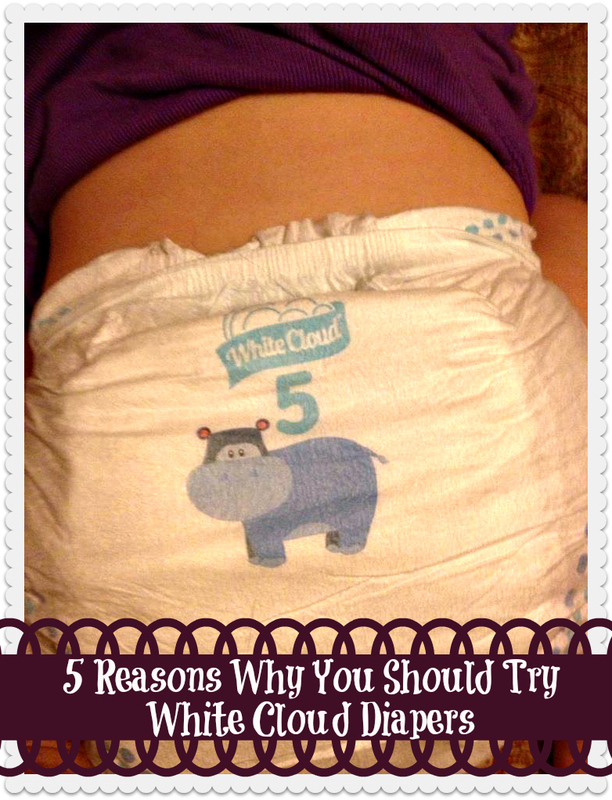 This is a sponsored post written by me on behalf of White Cloud Diapers. However, all thoughts and opinions are my own. When you have your second child, everything is different. You don’t feel compelled to read the baby books, ask every friend their recommendation or stalk the Internet trying to find the best choices for your child. Your first one was your “practice” and you’ve already spent the time, so you normally just go with whatever you did with the first one. I know when I had my second, there was no question of what brand I was going to use for her diapers. Not necessarily because it was the best choice, but it’s just what we were familiar with. So when I had the opportunity to try out a new brand of diapers called White Cloud Diapers and then discuss the brand with some other moms, I thought it might be time to consider something different and it was way past time for a playdate. 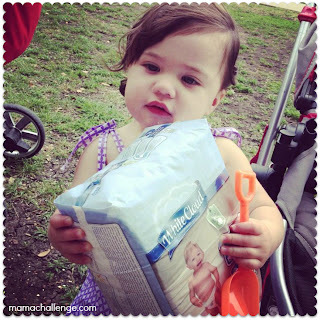 Taking advantage of the spring weather (and unfortunately a good bit of wind), we met at the park so we could keep the kids entertained while we did some diaper talk. We fed the kids some snacks and did a little oohing and ahhing at how cute all our babies were and then got to business. 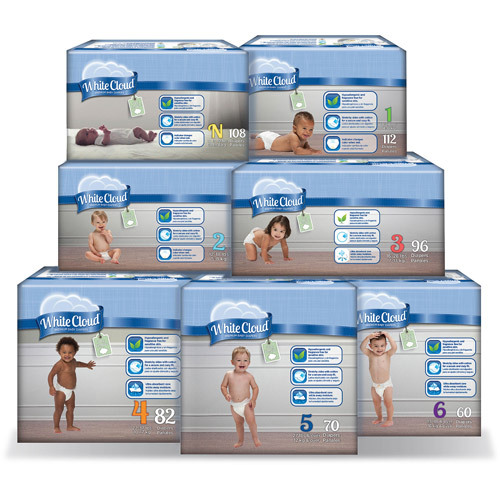 But admist all the fun, we also spent some time doing our “doodie” of checking out White Cloud Diapers. And since I’m all about sharing my “try-it out” on Tuesdays, I wanted to let you know what I learned! 1. 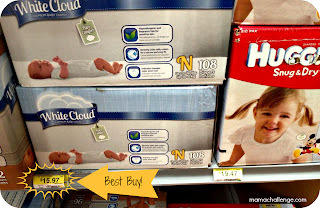 My daughter has sensitive skin, so I love that White Cloud Diapers are hypoallergenic and fragrance-free. 3. 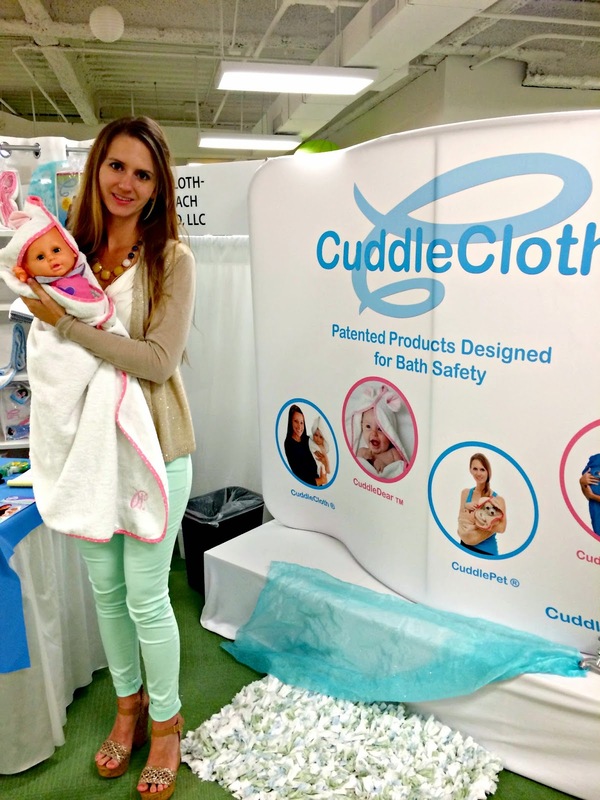 While my daughter is past the stage, I would have loved when she was in her early stage diapers to have a wetness indicator that changes color to let me know when the baby needs to be changed. 4. Don’t you get tired of Winnie the Pooh? 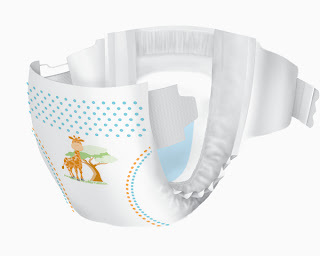 I love that there are fun animal prints on the diaper so my daughter can point out the names of them as she learns them! Diapering can be one of the biggest expenses in a family’s weekly budget and a great performing diaper is a must-have for parents. In order to make this affordable, Walmart has reintroduced their premium line of White Cloud Diapers to address the needs of today’s busy parents.